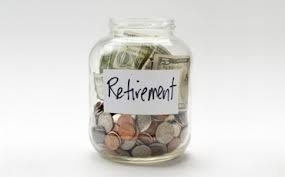 Company Partners Blog » Ignoring the future – Should business owners have pensions? I talk to a lot of owners of businesses each year who are putting all their time, energy and money into growing their business and have no plans to use any of that hard fought cash to pay into a pension. Does it matter? Most recognise that trusting the government to provide for you in your old age is pointless, but most also believe that they will be all right when the time comes. Many consider that the business itself will be the pension. By either continuing to earn revenues from it well into retirement, or selling the business at the time to raise funds for a pension. Some say they will pay into a pension when the business is more established and can afford it. Others believe the time for retirement is so far away that it’s not worth worrying about at this stage. While I can agree with the financial pressures on a growing business could justify points 1 or 2, those who refuse to think further ahead could rue the missed opportunity to have a game plan for when they get older. Although I’ve not seen the statistics for business owners, it is thought that half of all self-employed men and two-thirds of self-employed women have no pension arrangements. That is a bit scary.